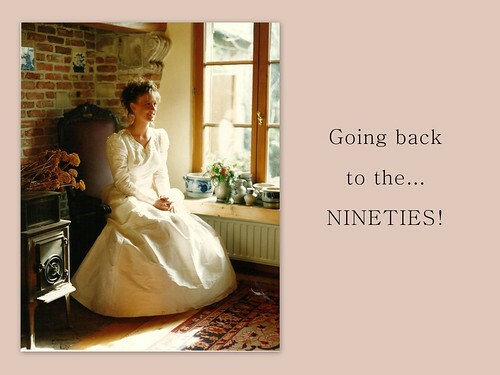 OK, so this is very easy… my favourite nineties outfit is definitely my wedding dress! About a year before my wedding, I bought all these kinds of magazines (this was an age before Pinterest you know!) to search for some well needed inspiration for the most important dress in my life… my wedding dress! And in one of the magazines there it was… the dress of my dreams! Wild silk, long sleeves, fitted bodice, big skirt, heart shaped cleavage, tens of tiny little buttons on the back… I just knew I would look stunning in it! So off we went, my mum, my sisters and myself of course, to a wedding dress shop in Antwerp where I tried on the dress I saw in the magazine… the wedding dress of my dreams! But… we knew this seamstress who specialised in wedding dresses so we asked her if she could make this dress for me. We had looked at all the detailing of the dress and when we came home, we had made some rough sketches of the front as the picture in the magazine only showed the back of the dress. The seamstress really was a pro in wedding dresses… she made a copy for less than half the price! And another thing I want to share with you concerning fashion in the nineties, is a fabulous price I won way back in 1990! A local magazine (Flair) celebrated its tenth anniversary and gave a couple of their readers 10.000 Belgian Francs to go shopping with a stylist from Flair, followed by a make-over and a photoshoot for pictures to be published in their magazine. I was nearly 19 at the time and a poor student… so 10.000 Belgian Francs (which is the equivalent of 250 EUR) was a HUGE amount of money for me to spend on fashion!! I had the best time, bought heaps of clothes and during the styling I realised I looked cute with my hair out of my face! Above you see a picture which featured in the magazine. My all-time favourite film is one from the nineties: ‘The Shawshank Redemption’. At first I wasn’t interested in it, because seriously… a film about some guys in a prison? Not my cup of tea… until I heard the guy at the video store (yip… it was also a time before Netflix) talk about it to a customer. He was raving about it and I got curious. So I rented it out and boy was he right! The Shawshank Redemption is a gem… the performance of Tim Robbins, the voice of Morgan Freeman, the determination, the cruelties, the clever way of escaping, the revenge towards the prison warden,… If you haven’t seen this film yet, please do so… You won’t be disappointed!!! 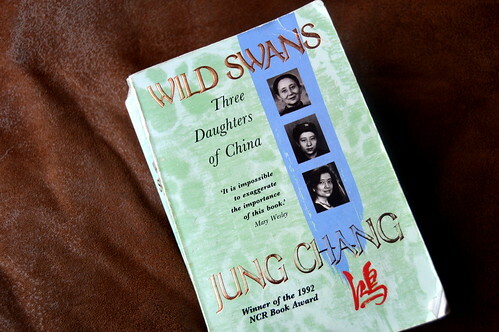 My favourite book of the nineties was ‘Wild Swans’ from Jung Chang, a book about three generations of Chinese women, covering the Chinese history from the late 1800s until about 1980. It taught me a thing or two about the cruelties of Chinese history. Definitely to be recommended! A second book I want to mention is ‘Circle of friends’ from Maeve Binchy. I rented it out from our local library many times until I bought my own (secondhand) copy. 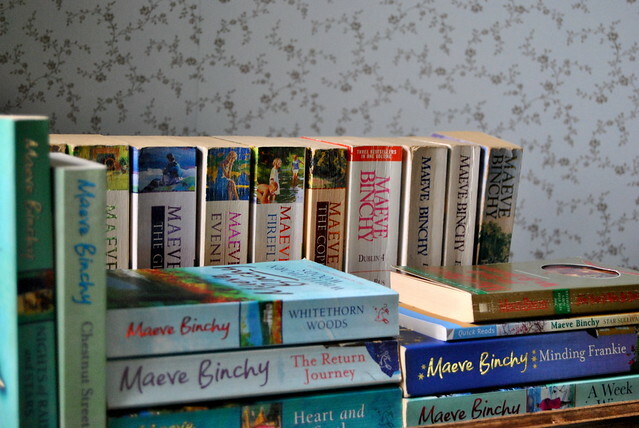 It was the first of many Maeve Binchy books I bought. Why I like her books so much, you can read in this post! 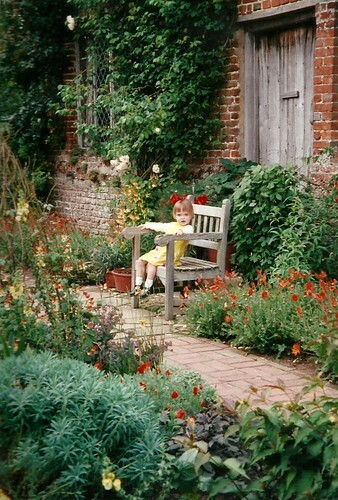 In the early nineties I developed my love for England. I had seen exactly one picture (similar like the one you see above) of a picturesque little village which happened to by Rye in East Sussex. I planned a trip to this lovely place, found out that it had an entire smuggling history, decided to write my thesis about it and the rest is history. That first real trip to England was one that actually opened my eyes about how much this country has to offer. We first visited London for three days and then headed to Rye from where we visited Hastings, Winchelsea and Rye of course. After that first trip to England many more followed. 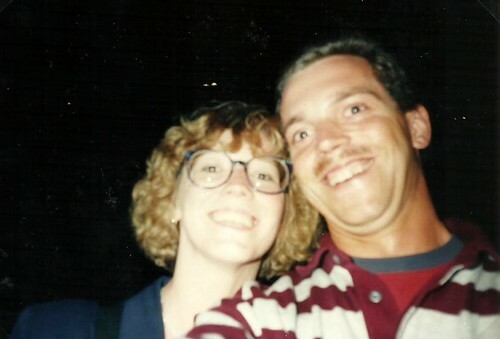 Below you see our very first selfie, taken at the very end of our first holiday to England in 1991. 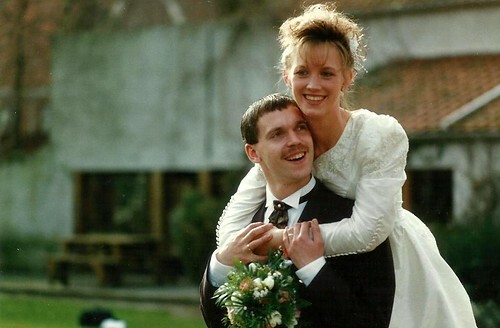 A second holiday memory I’d like to share, is the one from 1998, the first holiday we did with our daughter Charlotte who was then 2 years old… it was a trip to, you guessed it, England! We saw so many things, taking that little girl to gardens and parks and estates… she was so good all the time and she inherited our love for England big time. I’m pretty sure that she will move there some day! 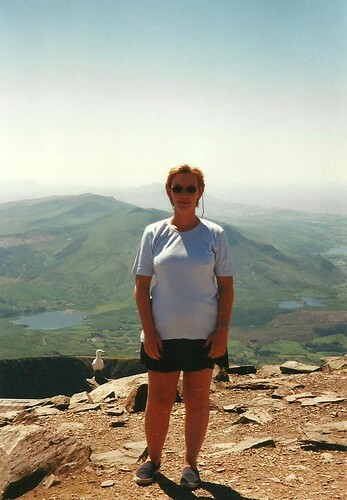 And one more holiday I’d like to mention is one to Wales in 1999. We had a fantastic week with my sister and brother in law. 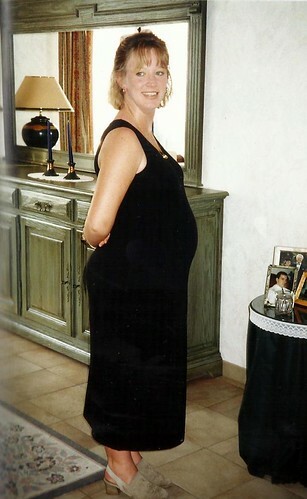 I was 5 months pregnant with Stef, but that didn’t bother me from seeing as much as we could! This entry was posted in Lifestyle, Personal and tagged nineties. Great post – looking back on a memorable decade indeed, and I completely agree about “Shawshank Redemption” – it has grown over the years to be one of the classics! Aww, lovely, as a former lifeguard, I was rescuing people in my sleep for a full fortnight after seeing Titanic, those water scenes really played on my imagination. I also loved both of the books you mentioned, Wild Swans was absolutely amazing! I can imagine that!! It was a film with fabulous special effects for those days! We always hiked up the miners’ track and down the Pyg track. It was terrific! Awe, love the pics. So smart and clever of you to choose a seamstress for your wedding dress. Thanks for sharing. Nice to read and travel back in time. We look soooo much better now don’t we hahaha I don’t even recognize you on the picture from Flair.